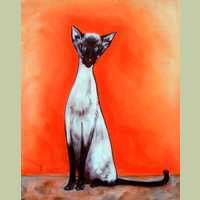 At The Art of Loving Cats and Dogs you will find a fabulous selection of pet, cat, and dog themed art in a variety of mediums, including jewelry, dog and cat rescue jewelry, art prints, paintings, and clothing for pet, cat, and dog lovers. 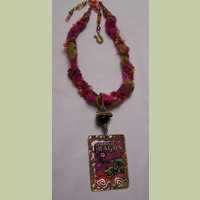 These art items allow you to flaunt your love for your pet, be it a cat or dog. 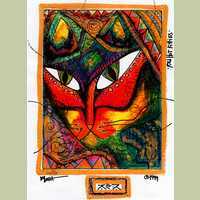 We feature the animal artwork and pet art of Mary W. Smith, the Red Hot Kitties artist, as well as art items by Laurel Burch. We offer secure Paypal Checkout, Flat-Rate $5 Shipping, and FREE SHIPPING on orders of $100 or more. 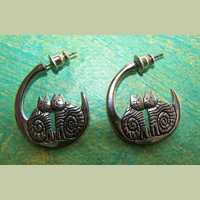 From the Laurel Burch Earrings category. 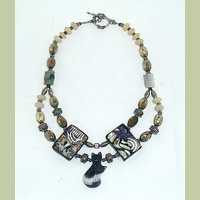 From the Whiskers and Purrls : The Jewelry Shop category. 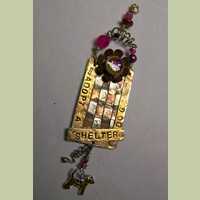 From the Mary's Dog Jewelry category. 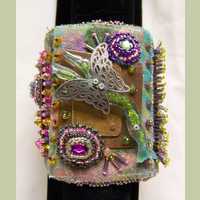 From the Mary's Greyhound Rescue Jewelry category. 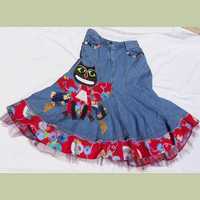 From the Miss Kitty's Closet : Art Clothing and Fabric Creations category.